The Minneapolis Institute of Art (Mia) will host its annual Art in Bloom fundraiser beginning Thursday and running through the weekend. 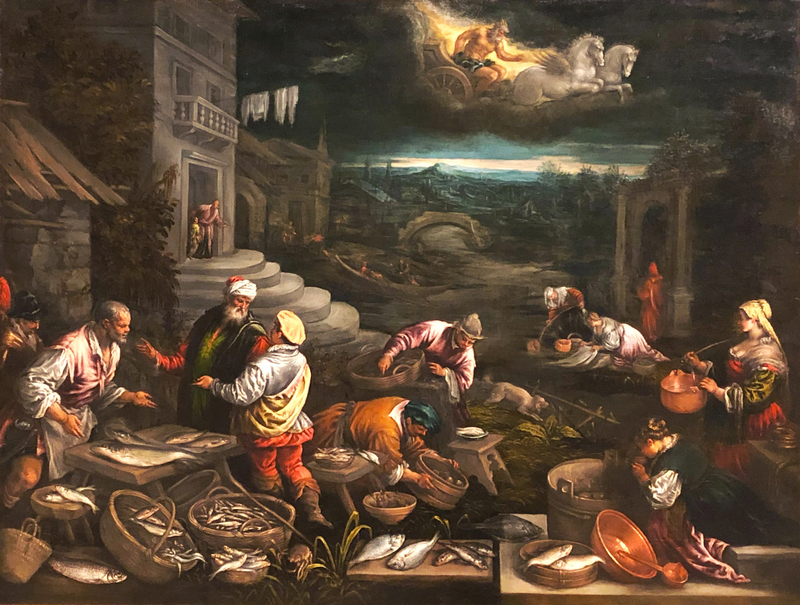 We hope you’ll stop by to see our entry, which is based on Francesco da Ponte’s “The Element of Water.” The painting is from 1576-77 and can be found in gallery G341 at Mia. How would you interpret this painting in flowers? Sponsored by the Friends of the Institute for 36 years, Art in Bloom is an annual event in the Twin Cities. Each year, 150 to 200 florists and floral artists interpreted works of art from the museum’s collections in flowers. It’s always fascinating to see how the paintings and objects come to life in plants. The event is free and open to the public. It is much beloved event and very popular with people of all ages and there is programming especially for children. (Here are our 10 Reasons We Love Art in Bloom, from 2018.) The interpretations are fascinating to see. Some are literal, repeating colors, shapes and spatial relationships from the painting or sculpture. Others are minimalist—a vase and a few flowers to reflect the art work. The floral arrangements seem to interact with the paintings and sculptures in unique ways. As in the past, our Communications and Creative Content Manager Brenda Harvieux will be creating the arrangement with assistance from her husband Brian Eggert. We’re all looking forward to seeing what Brenda and Brian and the rest of the floral artists create.